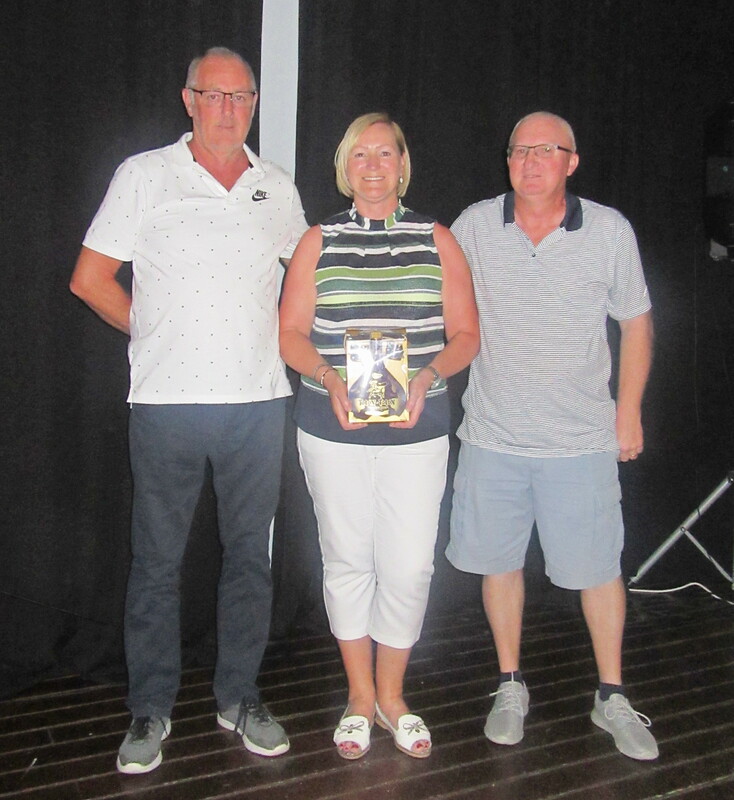 This week we had 46 players in a team event, with all 4 scores to count at each hole (essentially 3 individual stableford scores added together!). 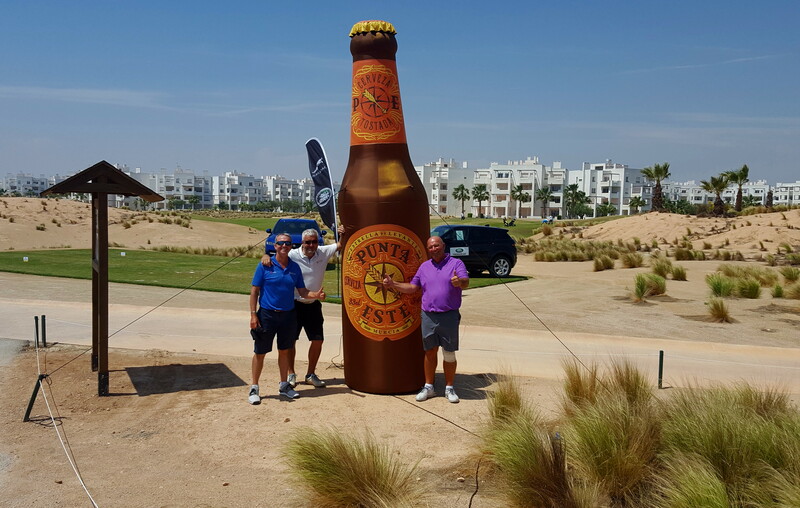 A good week for Shaun Cairney, who also had a hole in one at the 17th on Wednesday! This week’s starter was Lyn Bell, but unfortunately she was subjected to unacceptable abuse from one of the players who had an issue which Lyn was unable to address. See below a statement from captain Phil Cooke, who speaks on behalf of all the committee and from the response to his statement at the presentation Friday night, all the members. Friday is our main competition day when we have a volunteer Starter. 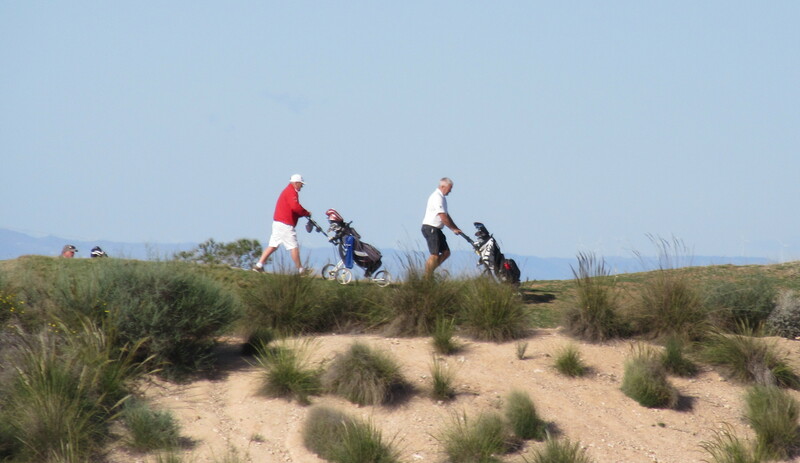 Most often the Starter is a non golfing partner of a playing member and as such has little or no knowledge of golf. The committee will not tolerate anyone being aggressive or abusive to our starter, in fact we will not tolerate that sort of behaviour towards anyone associated with the society. Any member being aggressive or abusive, particularly towards our starter, will no longer be welcome in the Society and told to leave. 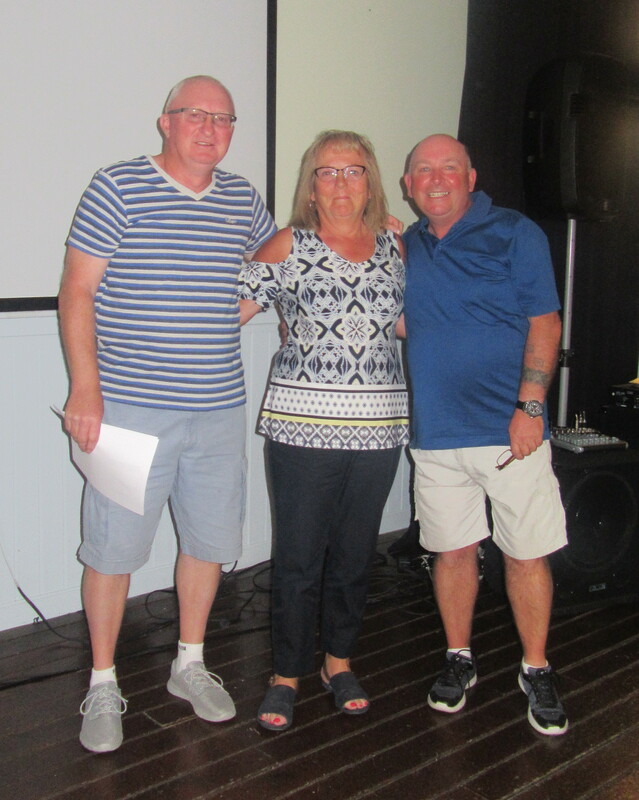 Our sincere apologies to Lyn as she is just a willing volunteer, and by fulfilling this essential role she has given the hard working committee a welcome break. The people who have a lot to say are also usually the ones who do not contribute anything to the society but expect to have all the benefits put on a plate for them. Next week is another major, President’s Day. 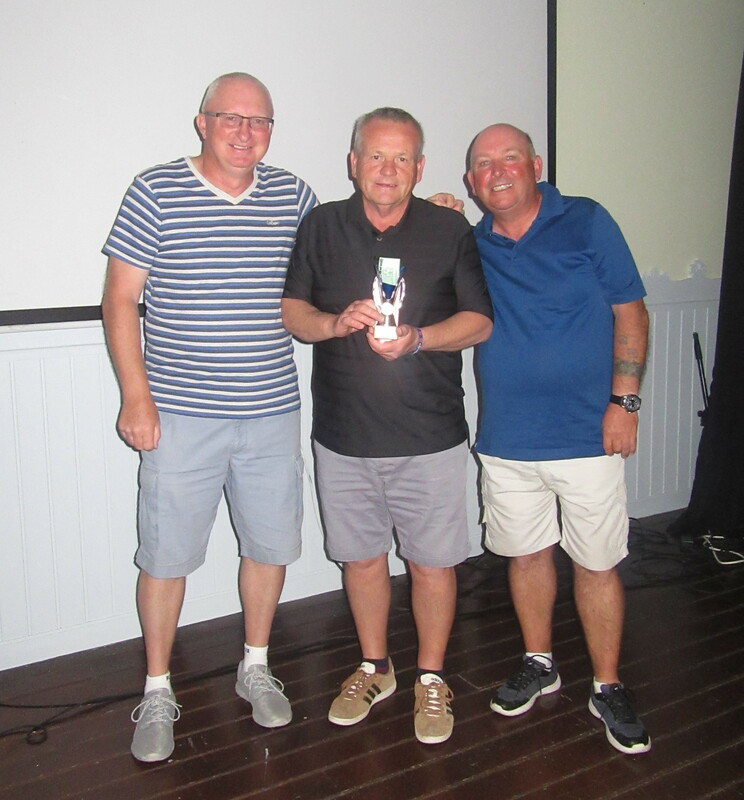 Officially Phil Cooke takes over as captain on Tuesday, so Ken Saunders becomes president and goes straight into his biggest day in the first week! 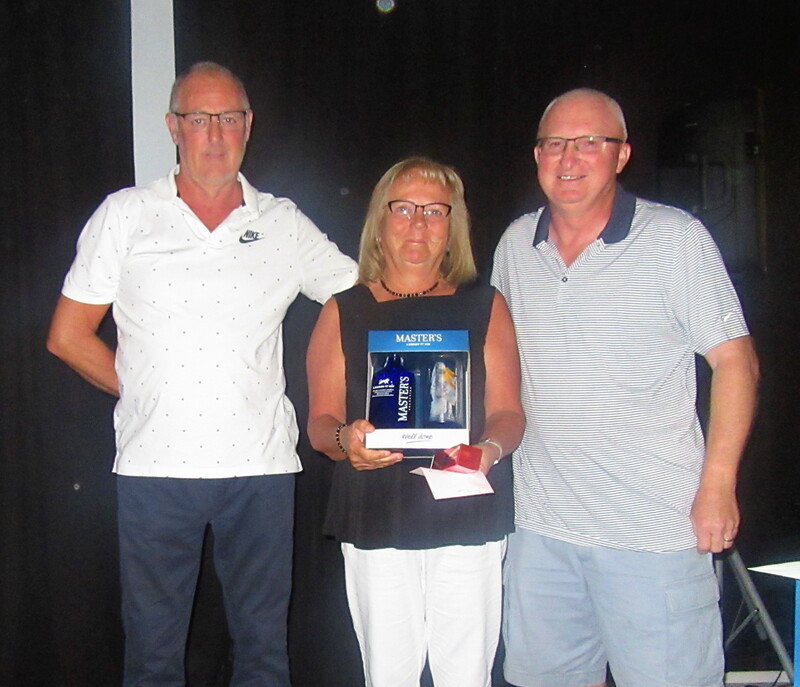 3 of our best golfers were competing in the summer GKN 6 course event, this month at Saurines. Is that the first prize that they are surrounding? This week there was a raffle on the name of the royal baby – Louis was the choice of Bear Busby and he will collect 15€ from Alicia. There was a priest who was an avid golfer. Every chance he could get, he could be found on the golf course swinging away. It was an obsession. One Sunday was a picture perfect day for golfing. The sun was out, no clouds in the sky, and the temperature was just right. The priest was in a quandary as to what to do, and shortly, the urge to play golf overcame him. He called an assistant to tell him that he was sick and could not do church, packed the car up, and drove three hours to a golf course where no one would recognize him. Happily, he began to play the course. An angel up above was watching the priest and was quite perturbed. 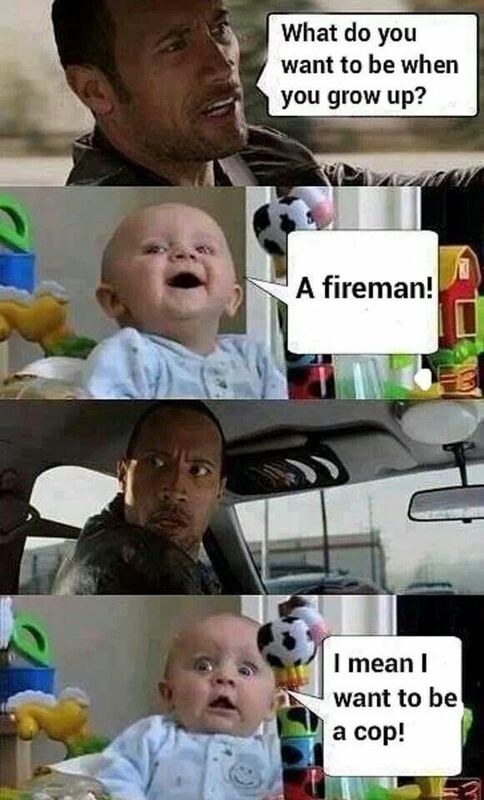 He went to God and said, “Look at the priest. He should be punished for what he is doing.” God nodded in agreement. The priest came to the first par 3 hole. 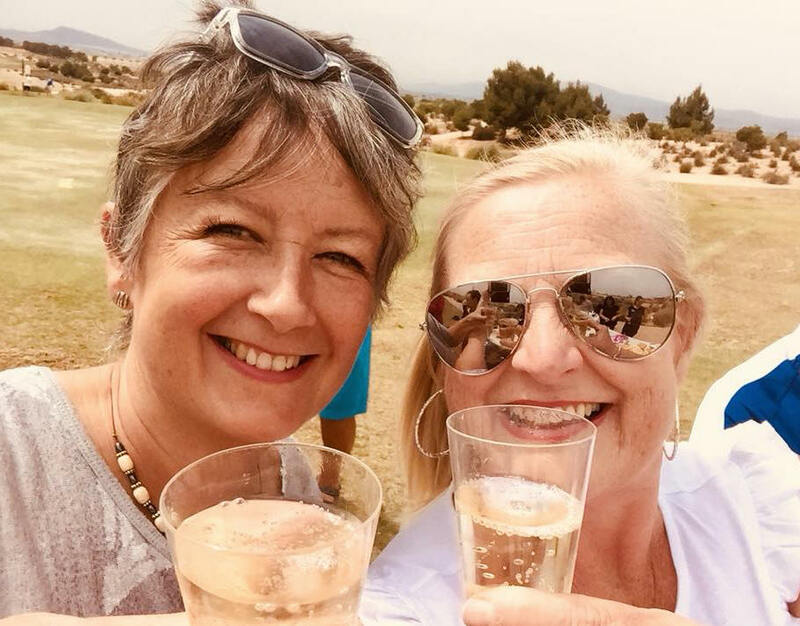 He swung at the ball, and it sailed effortlessly through the air and landed in the cup two hundred yards away – a picture perfect hole-in-one. He was amazed and excited. 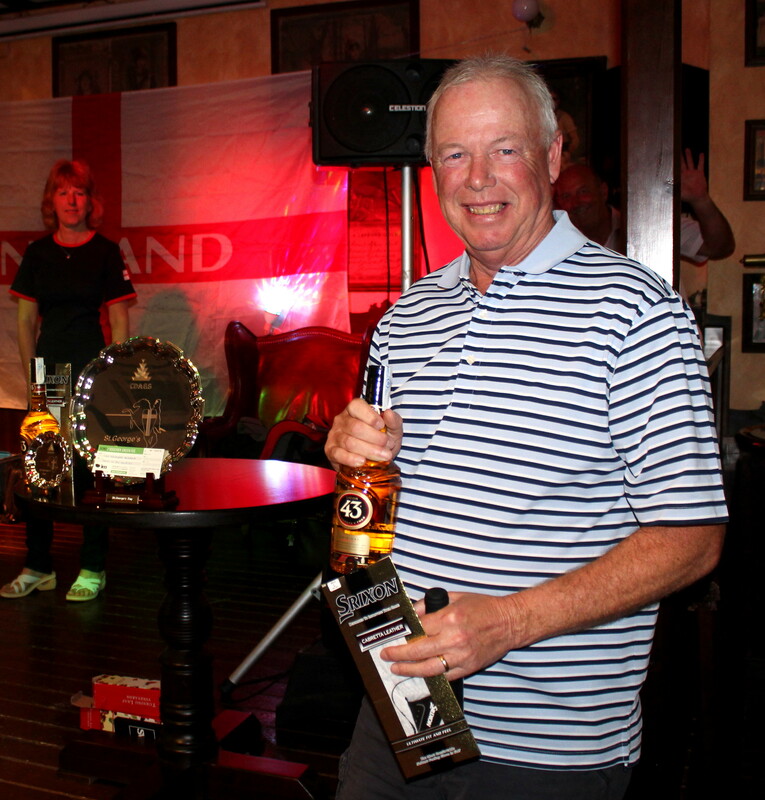 celebrating St George’s Day as another royal baby is born…………..
40 players today in the special event sponsored by Trophy Box. Good golfing weather until the wind got up for the later starters. Thanks again to Kerry Henry for being starter. 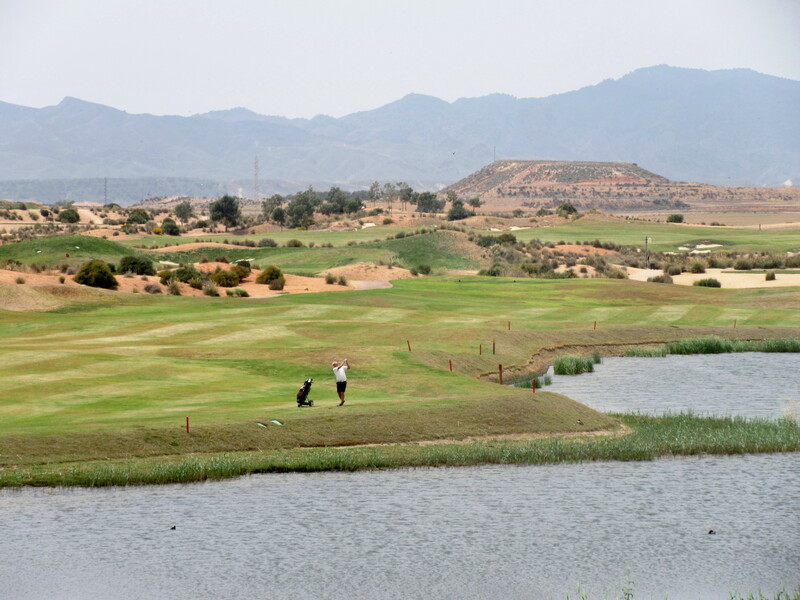 Also we had some special visitors – the film crew from Channel Four’s ‘A Place in the Sun’ were on site and obviously saw the course (and society) as being an important feature of the resort. Denise from the golf club managed to get a selfie with presenter Danni! the film crew doing their work on the 18th green….. 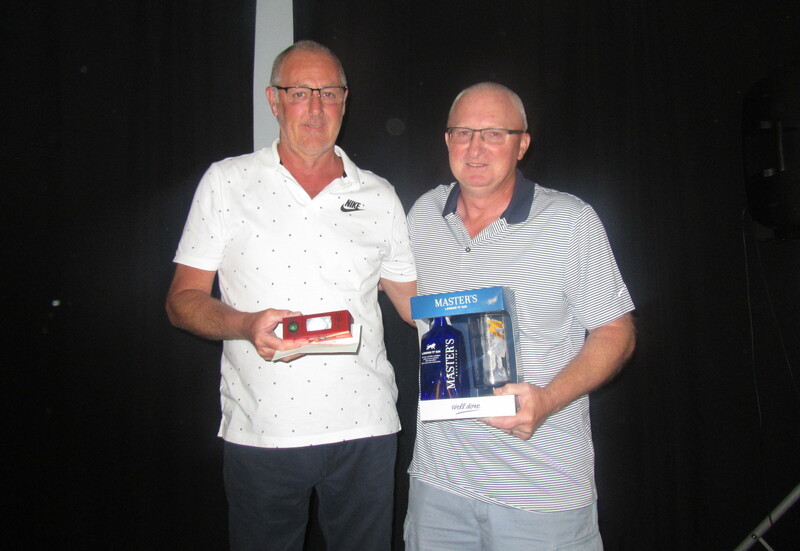 The winner, Chris King, had a fabulous round of 72 (gross) which gave him a nett score of 41 points off his slope handicap of 5. 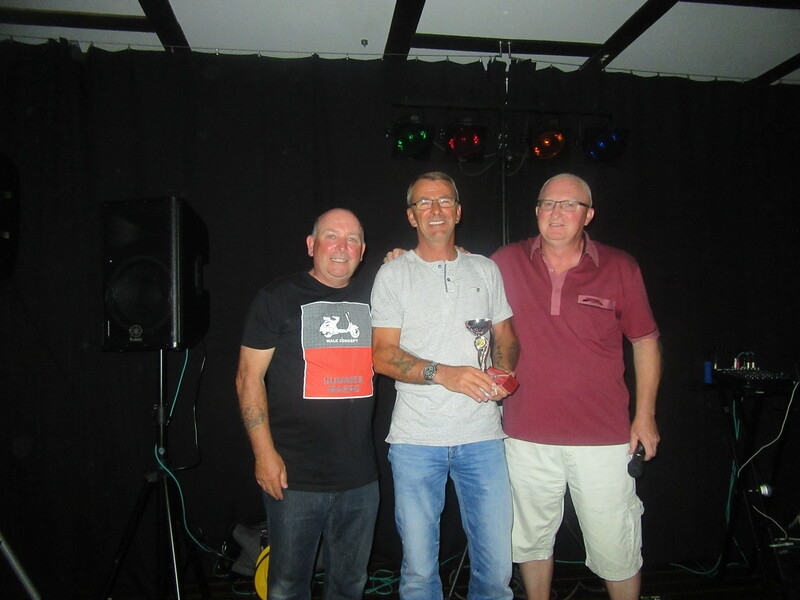 Tommy Toner won division one………………. 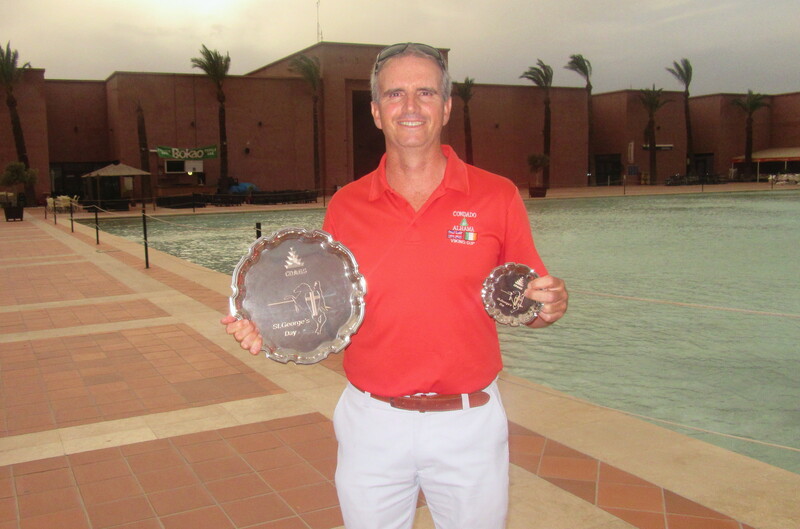 captain-elect Phil won the 2nd division……………..
And a couple of photos from out on the course…………………………. The presentation took place at the later time of 8pm in the Clover, with entertainment following from the Beatles. 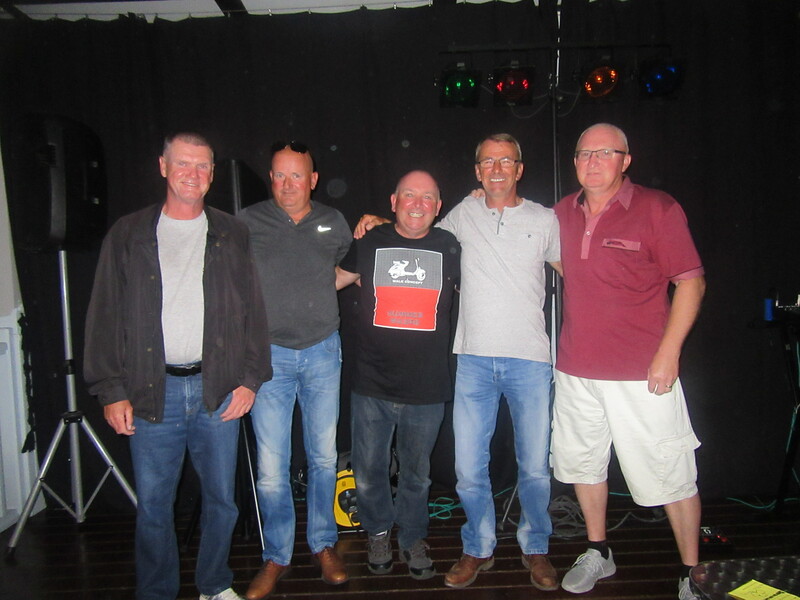 Who by the way were fantastic – only a two piece who at first glance looked past their best, but surprised everyone with their tribute and especially their skill on their guitars – no backing and fantastic! Need them back again! Friday is a 4 person team event. Kevin’s not over the hill, he’s on top of the world……………………. This was the 4th Apollo Air of 2018, and last year’s front runner for most of the year, Kevin Smith, came out on top. This weekend is Kevin’s 60th birthday, so you are not over the hill when you reach that milestone! 54 players this week and again the starter was the lovely Tanya Seckington. 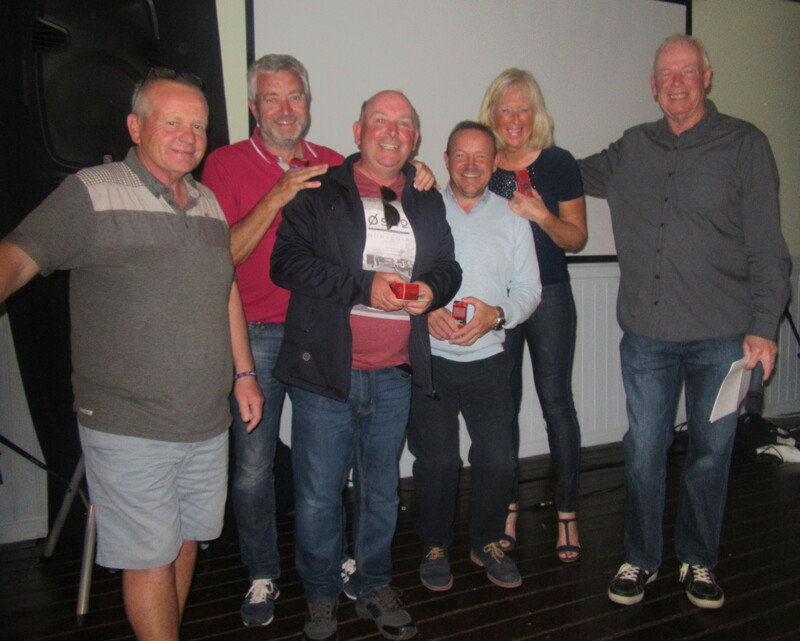 usually when people get old they shrink, but Kev seems to have reversed the process – last week he was taller than Tony Andrews, this week taller than John Collins…………. 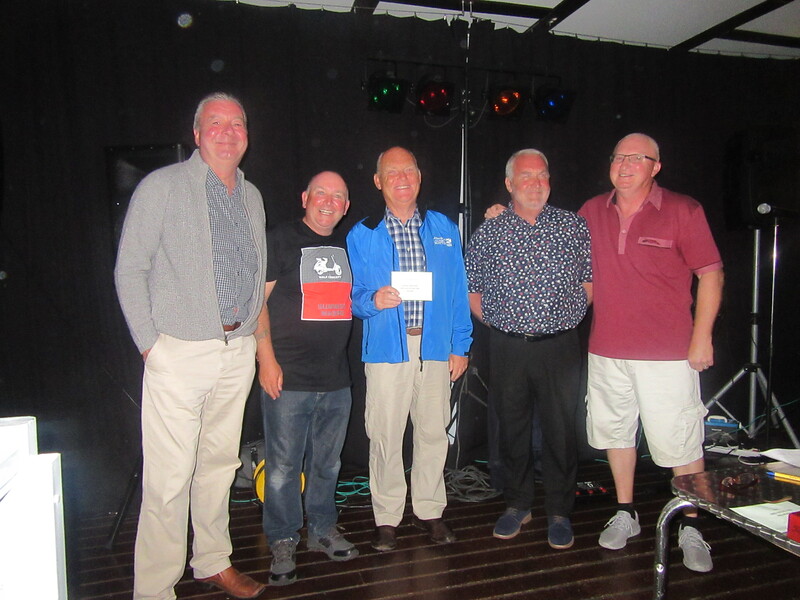 With Ken and Alicia away on their cruise, new committee member John Collins joined the presentation team……………………. 4 qualifiers for the annual trophy completed, and Tony Andrews has hit the front, just ahead of Shaun Cairney and Phil Cooke. Only 5 scores needed this year, so still 8 more chances to get your best 5 scores in. 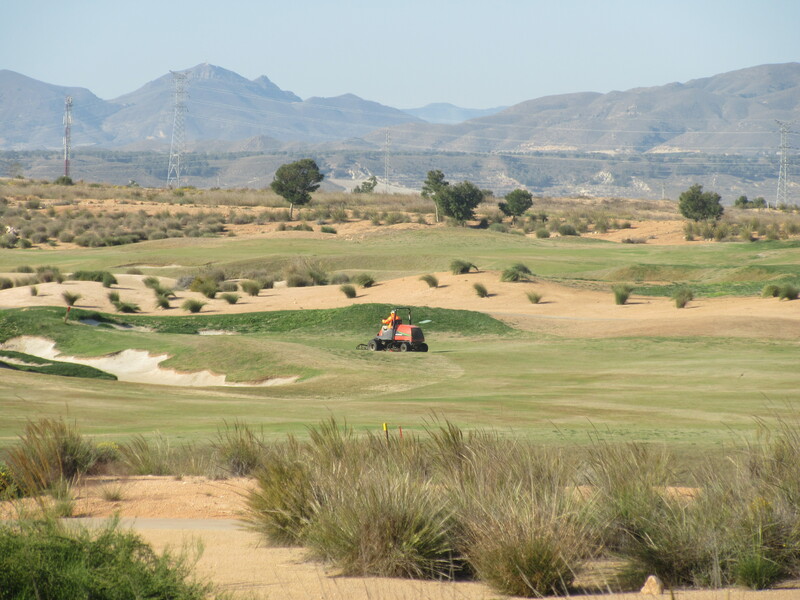 the course is now greening up, and the greens staff are doing an excellent job……………. 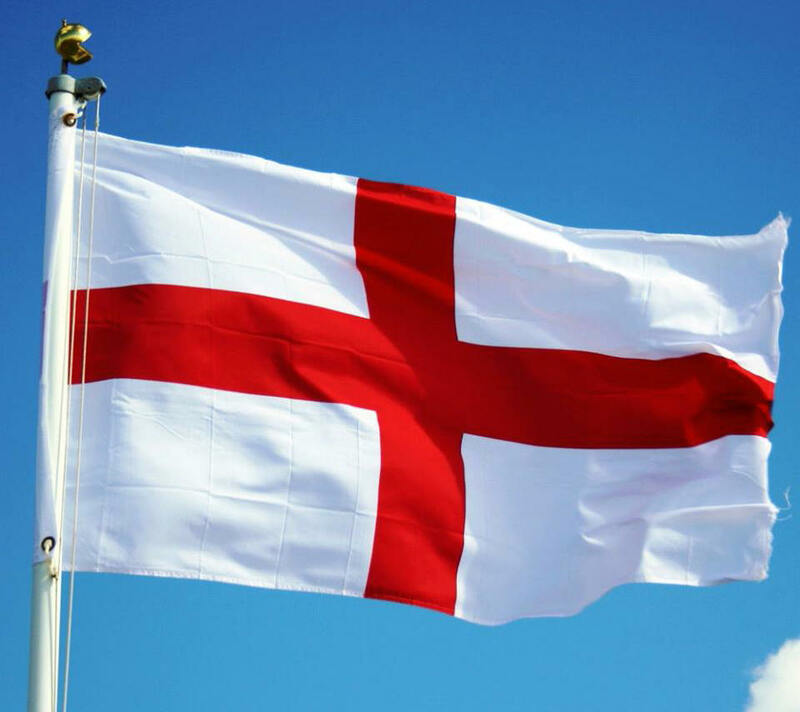 On Monday we have the St George’s Day stableford, followed by a team competition (all 4 scores to count) next Friday. 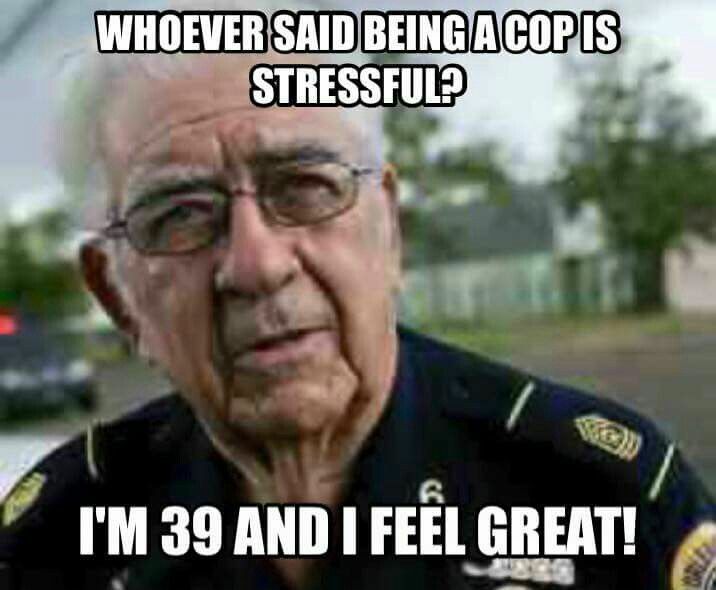 And to celebrate Kev’s birthday here are a few birthday jokes…………….. 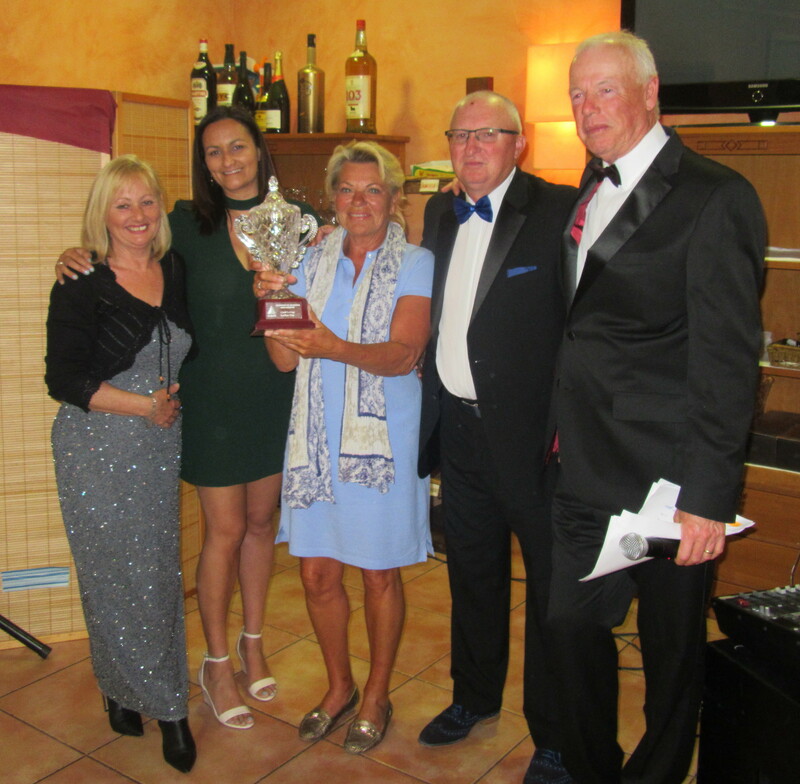 Message for the Scandinavians about the 2018 Viking Cup……………. We have noted that the UK/Ireland team is already fully booked for this year’s competition. We have today sent the invitation to all our players and have already had several confirmations to participate. 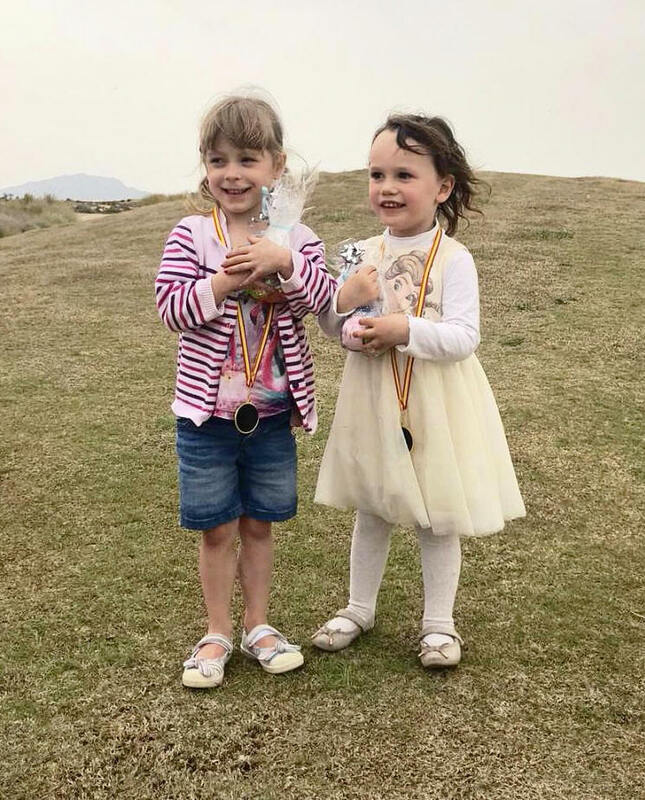 As we are all getting older, we expect that there might be shortfall from previous years therefore we want to invite as many Scandinavians as possible to show their interest to participate in the competition. We are still only 46 players each side but we have historically seen that we need some reserves at the very last minute. We are now registering interested players for this year’s competition and we invite as many as possible of the Scandinavians staying at Condado to register their interest to participate in the Viking Cup 2018. 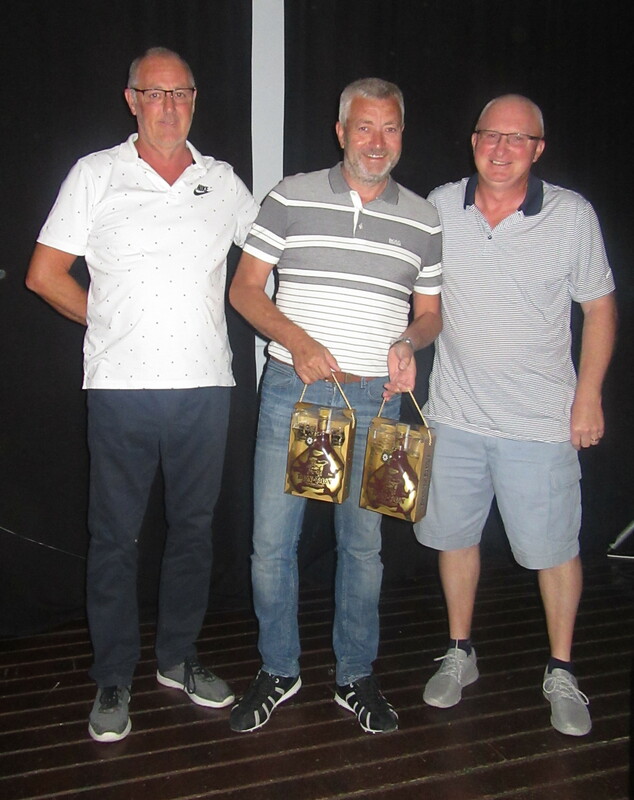 The deadline for previous players to get a preference is 31.05.2018.
our outgoing captain, Ken Saunders……………. 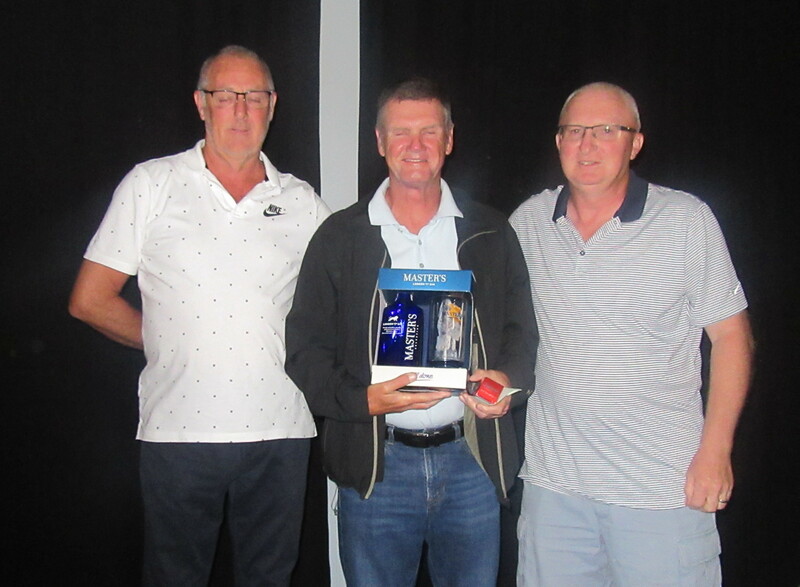 This was Ken Saunders’ last competition after his 12 months stint in charge of our society, and he decided a nice friendly 4 person team scramble (48 players) would be a fitting end to his tenure. The weather was perfect for his round, although it was a little breezier for the later starters. Didn’t realize that Kev is now taller than Tony Andrews………. 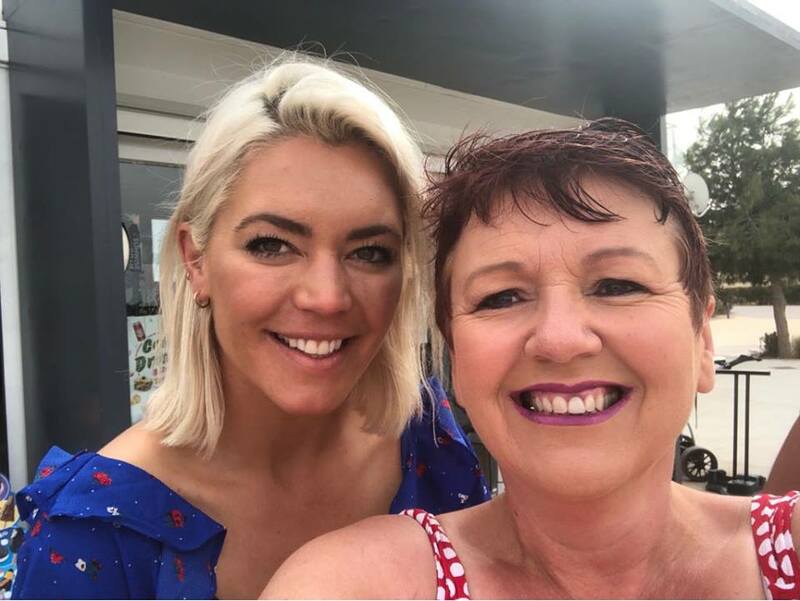 This is the photo of last week’s winner of the ladies day major competition – Ellen will have this framed picture in the trophy cabinet for the next 12 months………………………. Not long now to our St George’s Day event on Monday April 22nd. 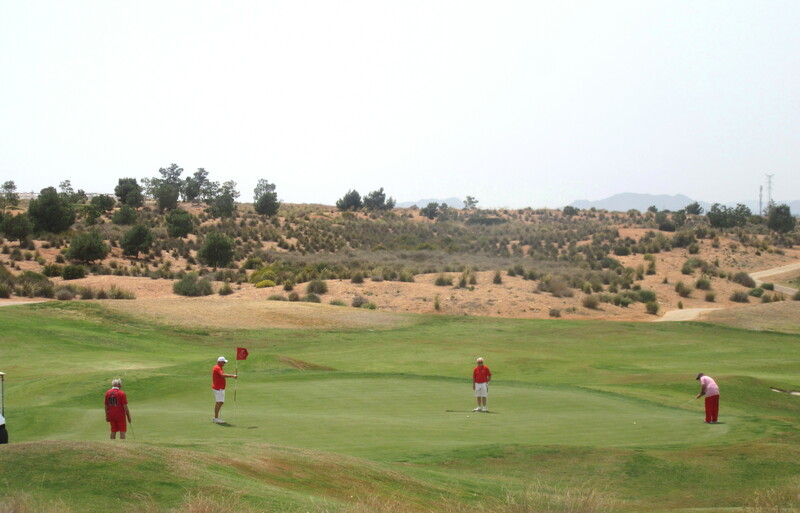 It is an individual stableford sponsored by Trophy Box. The presentation will be at 8pm in the Clover, followed by entertainment from a tribute band to the Beatles. Should be a great night! 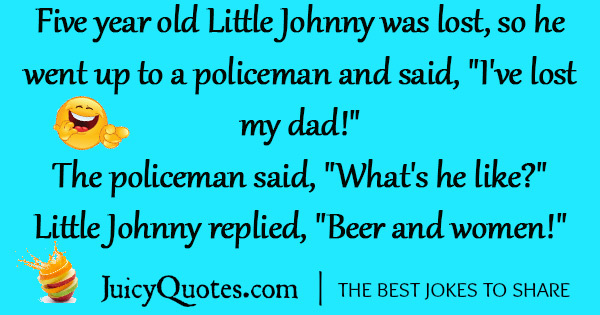 As the outgoing captain, the incoming captain AND vice-captain are all ex-police here are some policeman jokes……………. The Police sent me a picture of me speeding. So I sent them a picture of a cheque. They sent me a picture of handcuffs……………. A man’s body was found in the Tyne yesterday. He was dressed in a Sunderland shirt, mini-skirt, fishnets, suspender belt and high heels. Police have removed the shirt to save the family embarrassment. 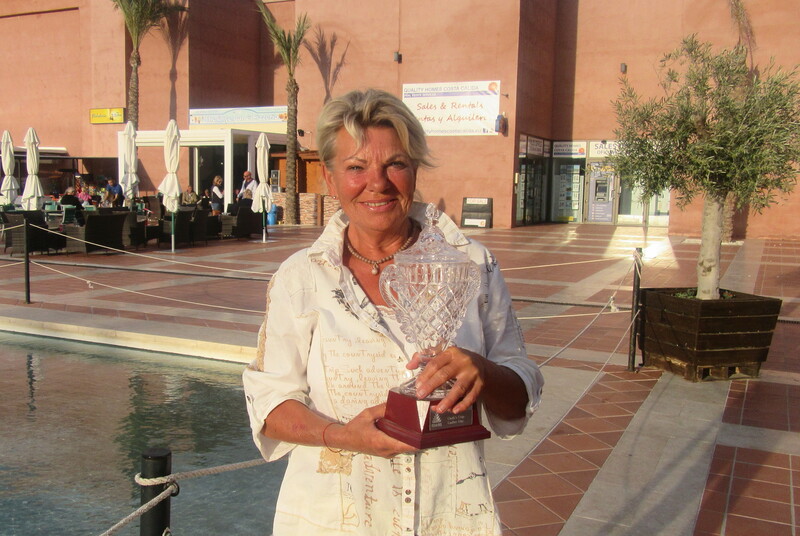 Ellen is the ladies champion…………. 14 ladies in the Cath Emmett-Smith competition with 45 men in the alternative event played under overcast skies. 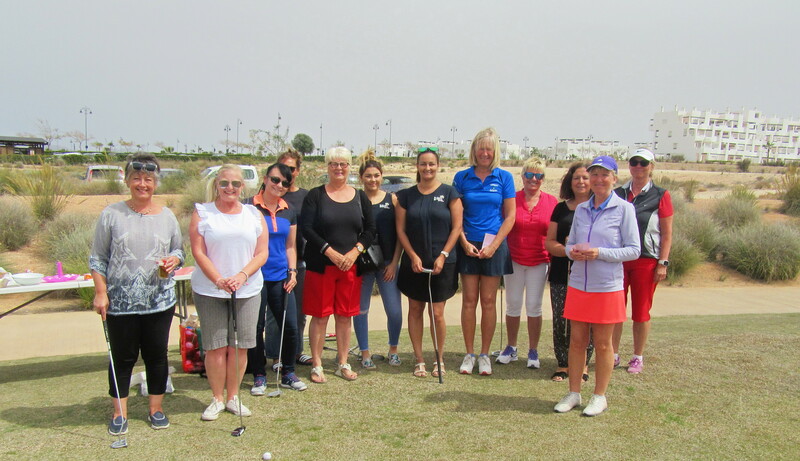 Also about 30 non-golfing ladies joined in the fun on the putting green for their own competition, and fortunately the clouds cleared as they started. Thanks again to Tanya for acting as starter, and providing some of the photos. Phil and Alicia also sent me some. 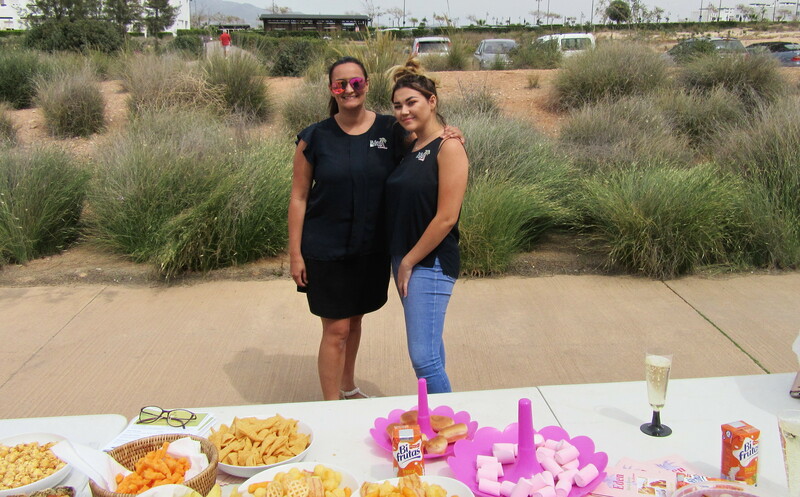 Mandy (left) celebrates her win in the putting comp with partner Tanya who was also starter for the day………………..
and our two youngest golfers got a prize – Evie-Rose and Stevie…………. 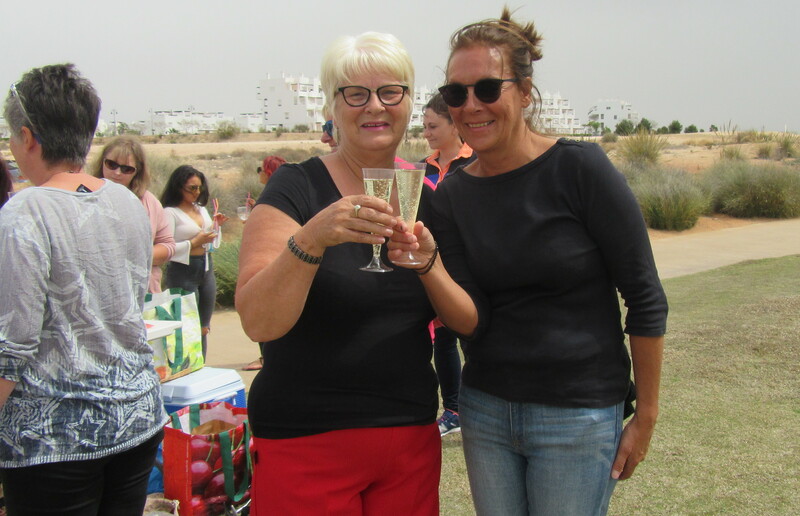 and all the girls finished with cava – Sue and Kerry look happy! Some photos included today but many more will be on Don’s Facebook page – CDA Golf Society, maybe Tuesday. 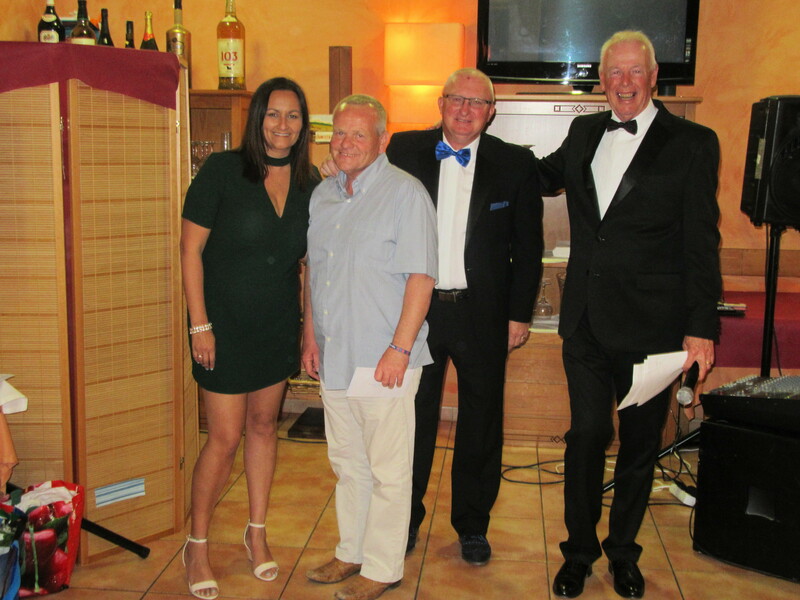 We had another superb night at the La Siena restaurant in Mazarron, with again too much food, with beer and wine free all night. One slight problem though, we were all stood waiting for the coach at 18.45 until we realized it wasn’t coming! Not the society’s fault, the tour operator that it was booked with hadn’t passed the message on. Ken & Alicia dealt with it – we had to drive down in our cars, and a bus was organised to take us home at 01.00. Then it would take drivers down in the morning to retrieve their cars at 10 a.m. 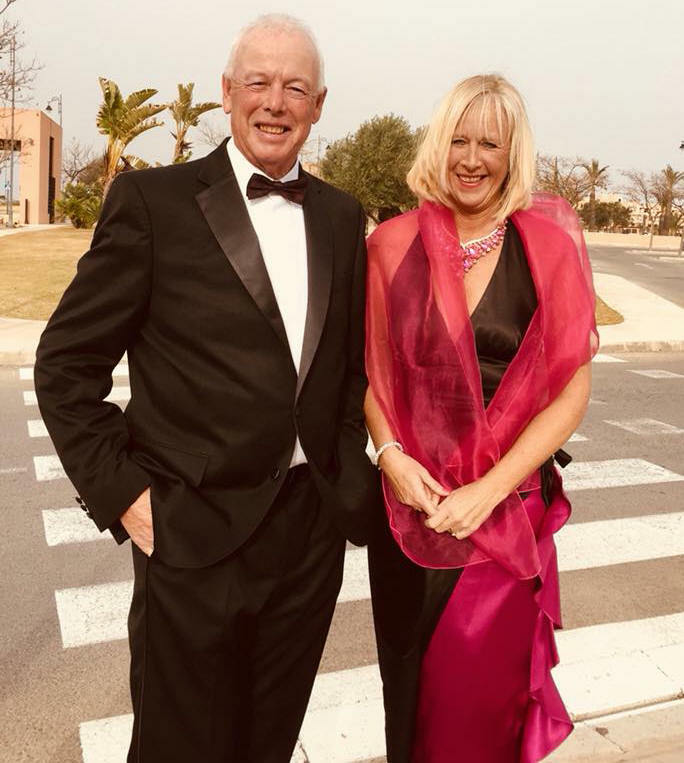 The entertainment was amazing – Maggie May, a great singer who could do a tribute to all the top female singers from Lady Gaga to Shirley Bassey, and then she followed the music with a comedy spot! 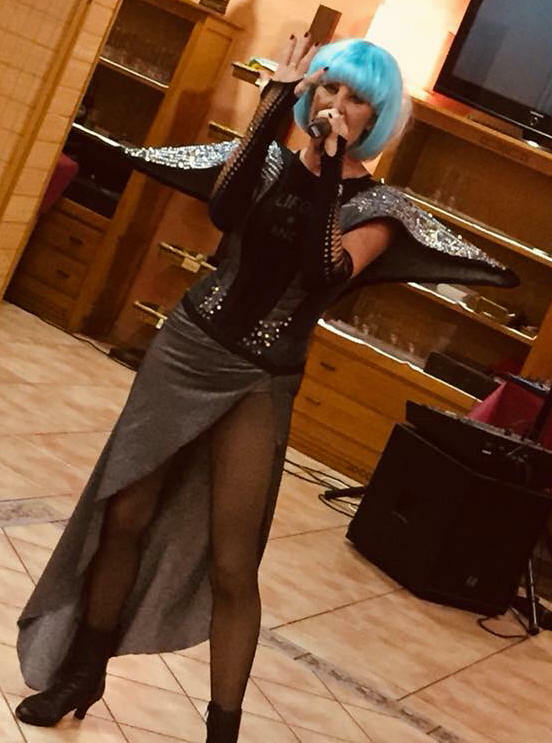 first spot started with Lady Gaga followed by several costume changes………. Next week is the captain’s farewell which has been brought forward a week as Ken will be away on holiday afterwards. 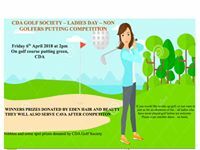 Ladies Day Friday 6 April from 2 pm. Non-golfing ladies meet our lady golfers on the putting green at CDA Golf Club for a non golfers competition. See poster. 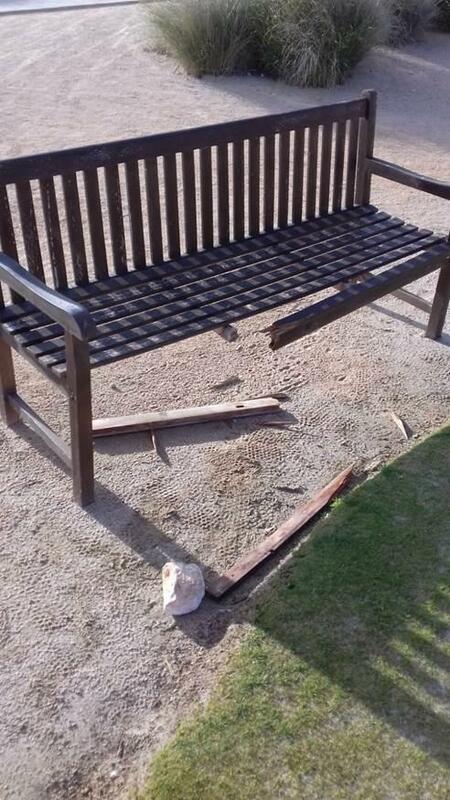 Just a couple of pictures to let you know the vandalism that we are suffering since the last week on the golf course. 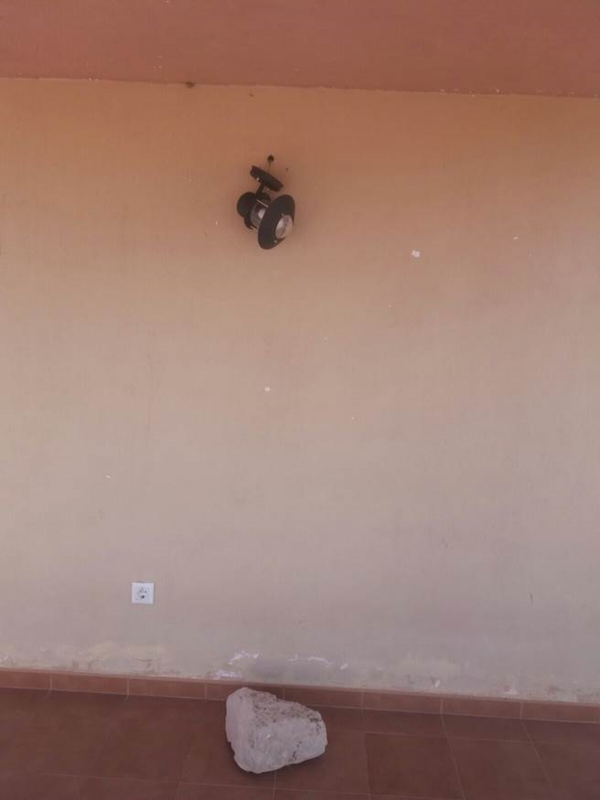 I ignore if the community could do something against this but I would be most grateful if anyone that could see someone acting like this could report it to the Proshop or to the local police.